Discussion in 'Cambodia Motorcycle Trip Report Forums' started by Mingh, Feb 19, 2006. We left Phnom Pehn via Highway 1. not the smoothes roller in the universe but alltogether we were in Neun Kham at the ferry in no time. Instead of taking the ferry accross the Mekong towards the Moc Bai border (that seems to have a bit of a reputation for bribes and bikers) we took the dirt road to the right from the ferry landing. 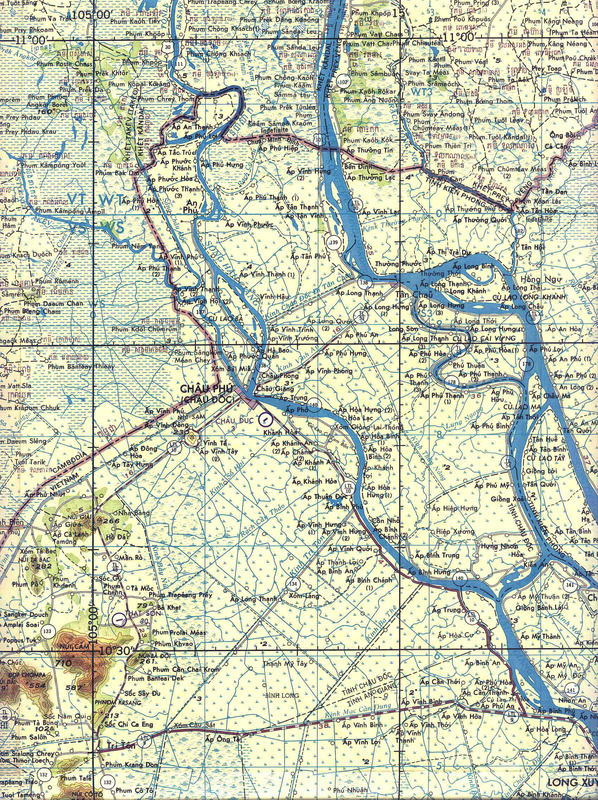 That's south on the west bank of the Mekong. It turned out to be one of the nicest roads in Cambodia to see the real everyday life. The overly friendly people with the scarfs, the ox carts, the wooden bridges (in all ranges of decay) and the Mekong as wide as we ever saw it. A lot of prose, I know, but that's because there's nothing to say about the actual border crossing (apart from our Minsk stalling again at 2 km before the border ;-)). Easy as picking your nose. There's no real landmark to see it, but about 1.5 kilometres before the border is customs on the left side(which you can safely pass) and about 300m further on the left side is the police station. They stamped the passports and were very interested in the bike, or at least how much we paid for it. Other than that, they didn't care. We do need to add here that we had the bike declared as temporary export on our exit document upon leaving Vietnam. And it's a vietnam registered one. The vietnam side acted toughm but they simply checked the papers and that was it. Stamps set at all done. When we asked about the motorbike, the official simply answered that Chau doc is 35k along the asphalt! Zereo bribes, zero toughness.... Maybe we were lucky with the very officials that day, but we believe that they're so used to patrolling the river that they don't mind about the odd biker. Apart from the ease of the crossing, the road is so much more fun than highway 1. After a short trip in the Mekong Delta (nice, but the cambodian side was so much more beautiful) we're in Ho Chi Minh City now, serviced the bike, and preparing the last leg of the trip, due north. Hopefully the floods in Hue won't stop us. It used to be called Road 101 on the Cambodia side, Road 139 on the Vietnamese side. The road is worth a look even if you do not intend to cross to or from Vietnam at this place. For Americans who know their political history, it was along this exact same stretch of the Mekong River that Senator John Kerry claims to have spent Christmas in December of 1968. Ming,It would take an act of biblical proportions to stop you an the "MIGHTY" minsk from traveling north. So don't let a miner flood that would scare the Bejesus out of a mear mortal worry you, thank you for the posts, you dont mention your travl'n buddy? is he like a robin or a shaggy or a boo-boo or a costello type side kick[ )]. I'll look forward to your next post!! Scott "never saw a site that didn't look beter look'n back"
Your support and crossed fingers have helped: We've completed our loop! We made it back to Hanoi. Other than a few flats (rear tire was worn to the wire...) we didn't have any problems anymore. Promise to get back soon with a detailed report on the trip. But in short we took the Ho Chi Minh road most of the time and it turned out to be one of the highlights of the whole trip! I enjoyed your posts,envying the places you went and visulizing as I read, I hope when you get home you can settle down after a hoot of a holiday that you an Jan had, or do you have other adventures up your sleeve. Look forward to reading more of your posts [ ]. Bye for now...Scott..Land of "OZ"